In honor of Martin Luther King, Jr. Day, the OneJustice network paid homage to him by bringing justice to rural communities that need it most. California currently has the largest poverty population in the country. In the state alone, between 8 to 12 million low-income residents are eligible for free civil legal aid, and most of them live in rural communities. To meet this great need, OneJustice is joining forces with community partners and organizations around the state by participating in the White House Rural Council‘s Rural Impact initiative, a national effort to enlist volunteers and organizations to strengthen and build thriving rural communities. To do this, our Justice Bus and Bay Area Rural Justice Collaborative projects are mobilizing more urban attorneys and law students to provide free legal services in these communities. 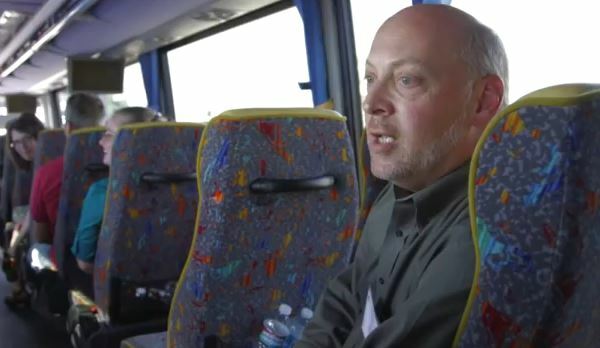 Morrison & Foerster LLP and Yahoo Inc. volunteer attorneys aboard the Justice Bus to Modesto, California. In fact, today, volunteer attorneys from Morrison & Foerster LLP and Yahoo Inc. are traveling on the Justice Bus to Modesto to provide free immigration assistance to those who need it. We continue to be amazed by the commitment of our wonderful volunteers and community partners in the effort to expand access to justice. Stay tuned as our network works together to #ServeRural! Electronic Arts Inc.’s Associate General Counsel tells us about her experience aboard the Justice Bus. Before we start, we just want to thank all our volunteers from Electronic Arts Inc. and Covington & Burling LLP for bringing life-changing legal assistance to 18 clients in Modesto this past November! Because of their hard work, these clients are more informed about their immigration options and many are ready to submit their applications! Volunteers like these really make all the difference for Californians in need. Now, please welcome this month’s featured Justice Bus Rider, Kyuli Oh! Kyuli Oh, Associate General Counsel at Electronic Arts Inc. Welcome, Kyuli! Tell us about yourself. What type of law do you practice and why are immigration issues like Deferred Action for Childhood Arrivals (DACA) important to you? I’m the Associate General Counsel at Electronic Arts Inc. with responsibility over all corporate matters, including securities, M&A, and corporate governance. I’ve got 2 young boys (ages 5 and 2), who keep me busy. I came to the US when I was 4 years old and became a naturalized citizen, so I identify with the immigrants that we help on the Justice Bus. I was lucky to have had legal status and to become a naturalized citizen. Thank you so much for giving us a sneak peek into your life! Why does pro bono matter to you and what motivates you to do pro bono work? Living and working in Silicon Valley, there’s so much wealth around you. It’s easy to lose perspective. Doing pro bono work helps me realize that my problems do not compare to those truly struggling – people worried about deportation, unemployment, having enough money to pay rent and buy groceries. Kyuli and EA and Fenwick & West LLP attorneys at the Justice Bus clinic in Greenfield, CA. We couldn’t agree more! Pro bono really makes the difference for low-income individuals everyday. Why do you participate in the Justice Bus model of pro bono? They make it so easy for you – you get on the bus; they provide breakfast, lunch, snacks and dinner; they train you; they provide expert advisors to answer all your questions and review your work; and it’s a one-day commitment. There are no excuses not to do this! We’re happy to hear the process was so easy for you! During your time at the Justice Bus Clinic, which client story resonated with you the most? My first client was a berry picker in the Salinas Valley. I helped him with his naturalization application and his fee waiver request since the $680 fee was a true hardship for him and his family. He had 2 young kids, who were close in age to my 2 boys. I remember speaking to him about his income and his assets and I was stunned. It was really humbling to think about how hard it must be for his family to live at that level and why it was so important that we helped him that day. It’s amazing how being a parent can be the shared common experience among people of different backgrounds! Final question, who is your favorite social justice hero and why? Oprah – my mom learned English watching the Oprah show. Oprah was the first African American person she “knew”. Later in her life, my mom branched out of her Korean community and became involved in a racially diverse church and became very close friends with an African American woman from church. I think Oprah had that impact on so many women and I think that opened the door for more acceptance. Thank you for joining us, Kyuli! This work is possible thanks to volunteers, like you! It’s time to move from theory to reality! Last month over 125 people gathered at the two Regional Pro Bono Meetings to discuss hot topics in pro bono in California and plan for continuing to expand pro bono services throughout the state. Thank you to everyone who participated in these great conversations in Los Angeles (October 2nd) and San Francisco (October 28th)! Both of the meetings had sessions that continued our community’s discussion about how to more strategically use technology to connect Californians facing pressing legal problems with pro bono resources in the private sector. Thank you to the Pro Bono Project’s Virtual Legal Services Program for appearing – virtually – at both meetings to share their successful model. This model is highly replicable – and we’re excited about the opportunities that exist to move this topic forward in a big way over the coming year. 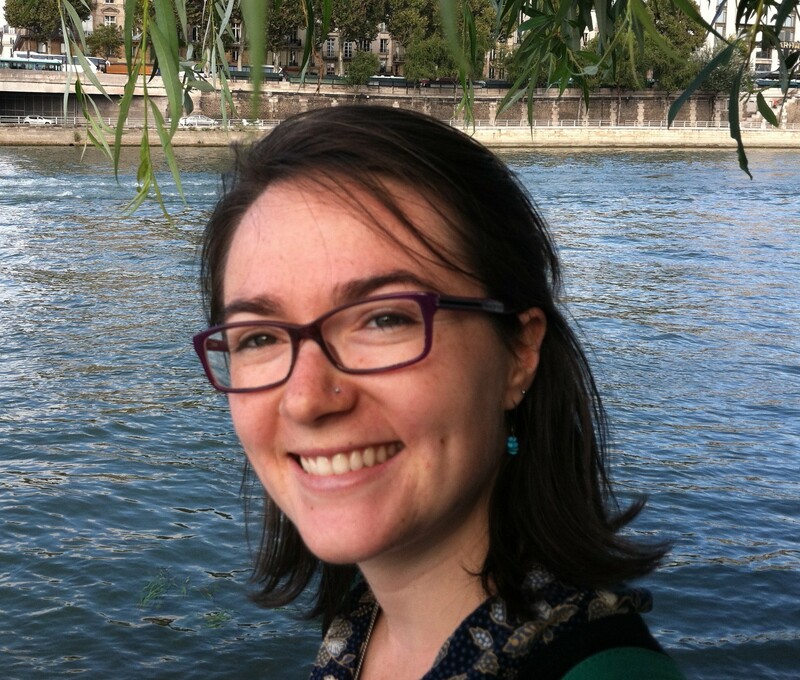 Today’s guest blogger, our very own Jenna Finkle, reflects both on her work coordinating the Regional Meetings and her participation in our own virtual pro bono clinic earlier this year. Thanks Jenna! 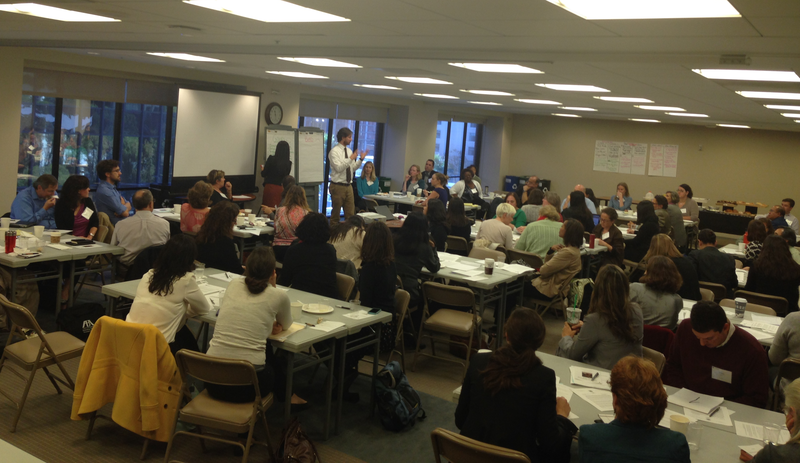 Over 80 participants attended the Northern California Pro Bono Meeting – we almost couldn’t fit them into one photo! As OneJustice’s Pro Bono Justice Program Associate, I help coordinate and administer OneJustice’s support work and pro bono convenings throughout California. 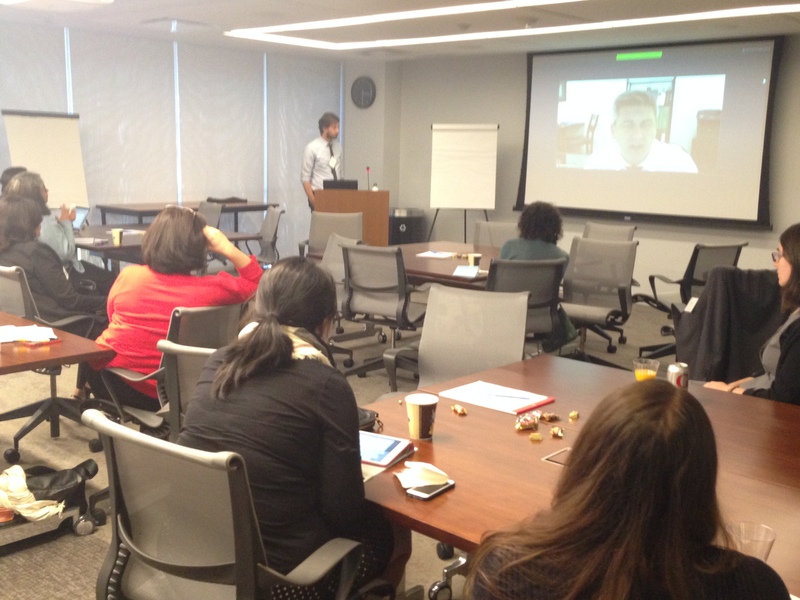 During the two regional Pro Bono Meetings in October, I had the opportunity to meet in person many of the pro bono stakeholders I have been communicating with via email, phone, and webinar from my office in San Francisco. Both of these daylong conferences included a robust discussion about how to make pro bono virtual by connecting three essential ingredients through video and online chat: the clients, the volunteers, and the legal services experts to supervise. Cameron Day of the Pro Bono Project of Silicon Valley appeared virtually at the Southern California Pro Bono Meeting to demo their virtual pro bono services. Watching these two groups dig into the idea of virtual pro bono during the sessions, I immediately thought about my experience working on OneJustice’s first virtual clinic in April, 2014. The Justice Bus Project brought 15 University of San Francisco School of Law students to a DACA clinic in Humboldt in March, 2013. Due to limited resources in 2014, the Justice Bus Project was unable to return to Humboldt County to provide desperately needed immigration services. However, students from Humboldt State’s student group, F.R.E.E. (Find Resources and Empowerment through Education), reached out to OneJustice and prompted our partnership and coordination of our first ever virtual clinic to help immigrants in Humboldt County gain access to free DACA and immigration assistance. The dedication of this student group astounded me. They were already a group seen in their community as an organizing node and resource. Their advocacy helped provide free legal services that were desperately needed. In preparation for this clinic, they coordinated DACA information sessions and found a space for the clinic, and F.R.E.E. members served as interpreters and doubled as technological navigators for clients during their appointments. They were ultimately able to successfully bring DACA & immigration assistance to 15 members of their community. 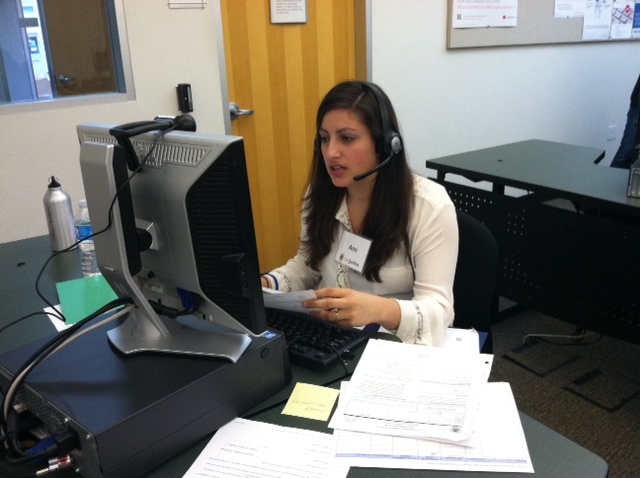 Volunteers in San Francisco connected virtually with immigrant youth in Humboldt County during the April 2014 virtual pro bono clinic. These community members were served by seven University of San Francisco School of Law students working under the expert supervision of attorneys from the Immigrant Legal Resource Center. These students came into USF’s library on a Saturday, despite schoolwork, jobs, and their many other obligations, to provide much-needed services to folks up in Humboldt. The enthusiasm OneJustice saw from our community partners, volunteers, and clients clearly demonstrated the importance of bringing desperately needed legal services to rural and isolated communities. In my 10 months at OneJustice, I have seen amazing collaborations across geographic areas and services, from community organizers to law schools to pro bono legal service providers. The folks present at the SoCal and NorCal Regional Meetings are key players in the many statewide efforts to build connections and provide services to help low-income, under-served Californians navigate a complex legal system. I was inspired at the Regional Meetings to see stakeholders’ dedication to create innovative ways to use technology to increase access to free legal assistance in rural areas. I am excited that there will be new virtual pro bono pilot projects in the next year, and I look forward to bringing stakeholders back together to share best practices development and new ideas at the 2015 Pro Bono Conference, to be held in the fall of 2015 in Los Angeles. 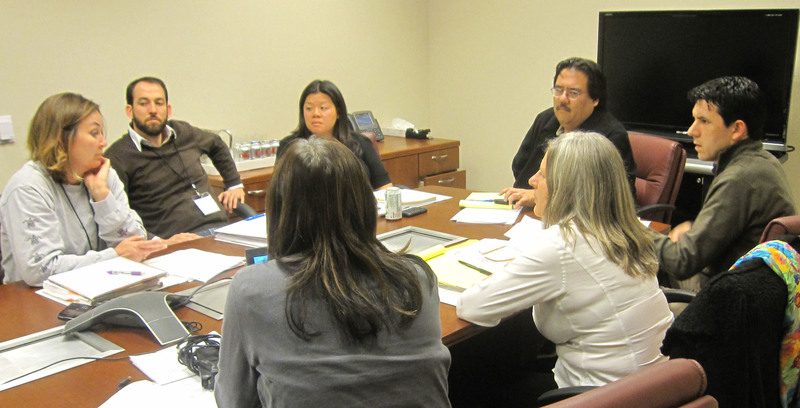 Mark your calendars now for the California Pro Bono Conference – Fall 2015 (more details to come soon). Our big dream? That next year’s conversation will include a TON of new virtual pro bono pilots developed over the next 12 months! In our March Justice contest, we asked you all to guess the number of miles a group of law student volunteers will travel over the course of the two-day Justice Bus Trip to bring free legal help to persons with disabilities in Humboldt and Del Norte counties. 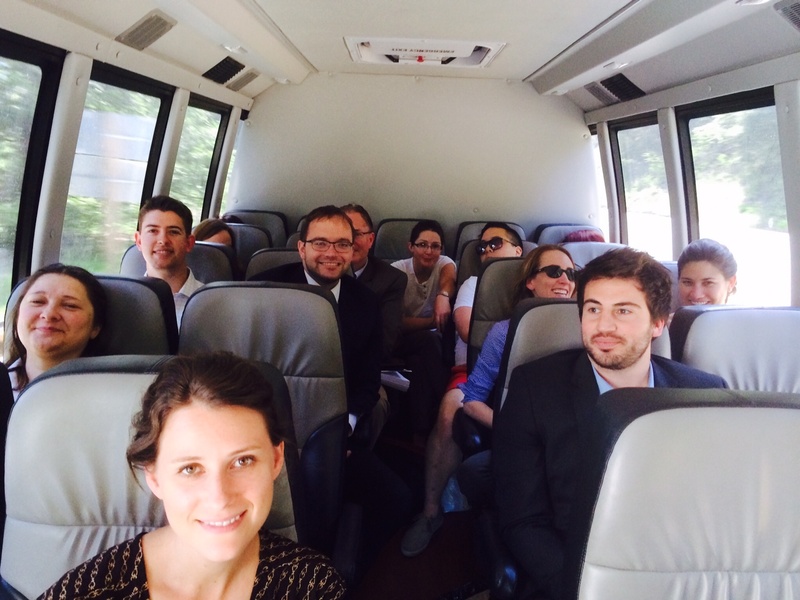 Students from Pacific McGeorge School of Law boarded the Justice Bus this morning. And we are delighted to report that Karen Dwyer-Meadow won our March contest, with her closest guess of 728 miles. Congratulations Karen! And yep, you heard that right. These amazing law students from Pacific McGeorge School of Law will spend their spring break traveling a total of 706 miles in their quest to bring life-changing legal help to residents of Humboldt and Del Norte counties. Today they were at a Yurok Tribe building in Eureka (Humboldt County) providing free legal assistance on special education issues to nine families of children with disabilities. Tomorrow morning they will get up and travel to Klamath (Del Norte County) and set up a free legal clinic for children and adults with disabilities – and then travel home to Sacramento. We are also delighted to bring you 7 fun facts about these counties, which represent the farthest that Justice Bus have ever traveled! Final Interesting Fact: Humboldt County contains eight Indian reservations within its borders. Only four other counties in the United States contain a greater number. And in fact, the Hoopa Valley Indian Reservation (located in Del Norte County) is the largest in the state of California. 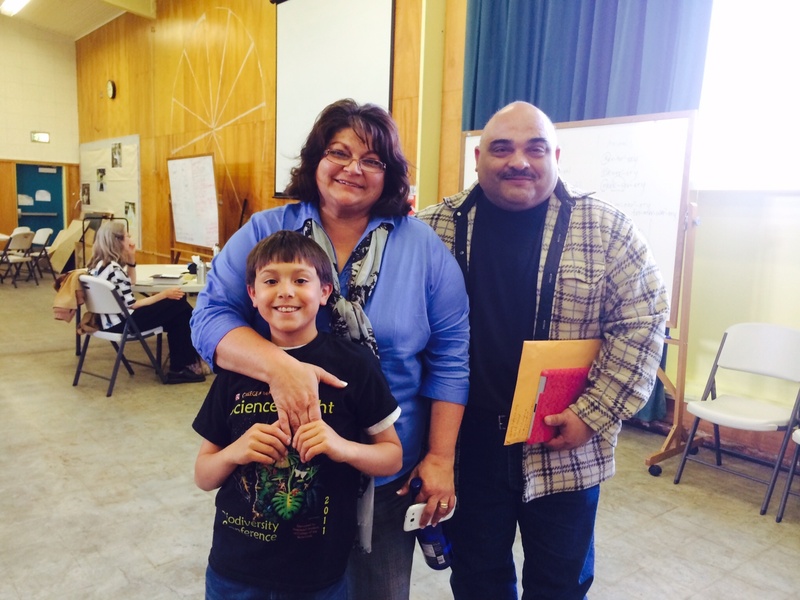 This family was all smiles after receiving help at the Justice Bus special education clinic today in Humboldt County. Thank you to Pacific McGeorge School of Law and their amazing law students who are willing to travel serious distance to make a difference for those in need. Thank you all to all the amazing partners on this trip! Huge thanks to Legal Services of Northern California and Disability Rights California for providing the expert supervising attorneys and the trainings for the law students. Thank you to Chief Judge Abby Abinanti and all the amazing staff at the Yurok Tribal Court and the Yurok Tribe for their incredible partnership. And a heartfelt thank you to the California Endowment and a group of generous donors for making this trip possible. You are creating the change we all hope to see in the world. Thank you! Join us in celebrating Bruce Ives on July 25! Guess who spent over 14 hours on the Justice Bus to bring vital legal assistance to community groups in Delano, CA? 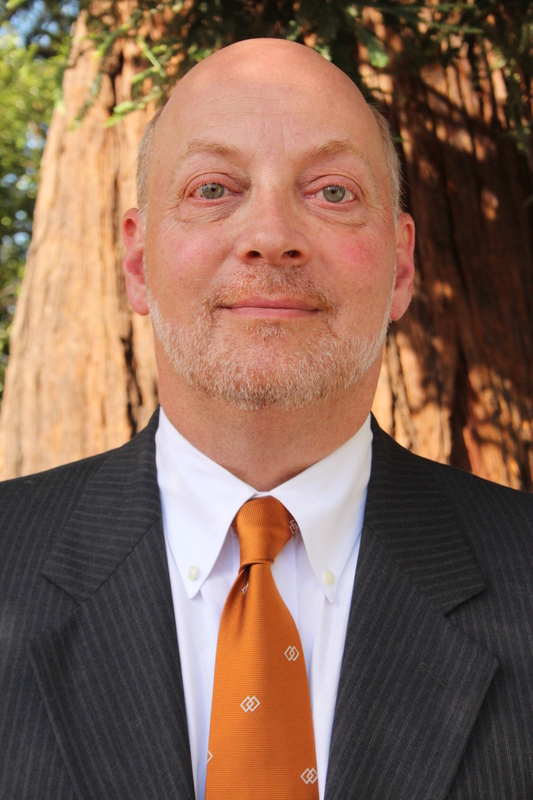 Bruce Ives, Senior Vice President and Deputy General Counsel at Hewlett-Packard Company! Now that takes real dedication! Tickets are now available at the Opening Doors to Justice website, where you can also preview the awesome silent auction items and make a donation to the Justice Bus. In preparation for the July 25th event, we caught up with Bruce and posed some interview questions about his passion for justice. We know you’ll be just as inspired by his responses as we were! Why have you committed so much of your professional career to working on access to justice? I’m not sure where my interest in access to justice started. Suspect I watched too many police shows as a kid and that part of the Miranda warnings about “… if you can’t afford an attorney, one will be appointed for you …” must have stuck. Might also explain why my first job after law school was as a Deputy Public Defender in Los Angeles. I carried the interest with me as I worked on political campaigns and later with elected officials. When I moved to the private sector one of the main reasons I chose HP was because of its long tradition of giving back. The company remains a leader in Global Citizenship with a strong pro bono program that allows our legal team to partner with leaders in the non-profit sector like OneJustice. This gives me, and all of my colleagues, real opportunities to act on our values and use our legal skills to help make a difference. The ability to do that work continues to be one of the most rewarding parts of my job. Maybe it’s the reward that really explains my interest in access to justice, but it’s probably those old cop shows. Bruce Ives on the Justice Bus on the way to Delano. What is one particularly rewarding experience you have had in your work on access to justice? There are many, but a real highlight was the Justice Bus trip I joined last summer. We took a bunch of lawyers from HP and Morgan Lewis to the Central Valley on a trip organized by OneJustice. We connected there with the Equal Justice Works Fellow that our firms co-sponsor and did a legal clinic for the community groups she was working with. We met some amazing people, many who were getting involved for the first time to lead local efforts to bring healthy food, clean water and entrepreneurial opportunities to their families and neighbors. For the HP and MLB lawyers the contrasts were striking, between the Silicon Valley and the Central Valley, and between our day jobs and our pro bono work. Yet the most impressive part of the whole experience, and the most rewarding, was the chance to meet and help some real local heroes – homemakers, retired forklift operators, grandmothers – who were stepping up to improve their communities. We all returned inspired. What is your favorite part of being a part of the OneJustice network? The most amazing thing about the OneJustice network is the broad number of connections it provides to foster and sustain collective work. One example – the diverse group of supporters it brought forth to support the Civil Gideon Pilot Project funding Bill that was moving through the California legislature in the middle of a terrible budget crisis. Because of this coalition building effort the Bill was passed, and signed, against staggering odds. And that effort has allowed other members of the OneJustice network to launch cutting edge legal services programs around the state utilizing Civil Gideon pilot grants. OneJustice has a unique capacity, because of its range and credibility, to enable so many other partners to expand legal services for Californians in need. It is impressive to watch a small and dedicated team have such a large impact, and it is very rewarding to join in and support their efforts. Want a visual of Bruce on the Justice Bus? Well, you’re in luck! Equal Justice Works captured the day in a video about the trip, the volunteers, and the Equal Justice Works Fellows at the heart of it all. Thanks to Equal Justice Works for allowing us to share the video here for your viewing pleasure. Enjoy!